find my music on itunes, amazon.mp3, cd baby, and bandcamp. 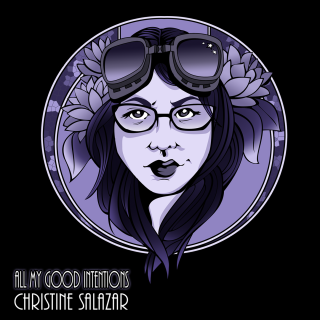 Newest release from Christine Salazar, released 04/01/14. Purchase via PayPal by clicking "Buy Now" below. ​Also available for digital download at CD Baby, iTunes, amazon.mp3, and bandcamp. 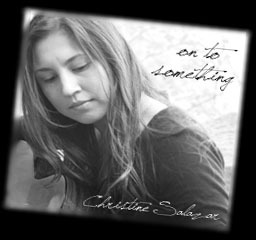 Purchase a signed CD copy of Christine Salazar's debut album On to Something via PayPal by clicking the green "buy now" button below. Also available for digital download at cdbaby.com, bandcamp, amazon.mp3, and iTunes. "Salazar's voice is confident and heartfelt, with a slightly jazzy tilt to lyrical presentation and a sweet alto flavor that I found relaxing and intriguing... [On to Something] is a well crafted peek at the emergence of an artist who undoubtedly is possessed of buckets of talent and the potential to grow into a dynamic musical maturity."